When you love your home but want to make some changes, how do you know where to begin? As a real estate broker and advisor to my clients, I am often asked what improvement projects are most worthwhile or where money is best invested. In today’s market, I am consistently seeing that buyers are looking for the “cream puff” listings. They want a home that is well maintained, “move in” ready, priced well, and in a good location. No surprise there, right? As I work with clients, whether they are preparing to move now or just looking to improve their home for their own enjoyment, I find a few things that consistently show rewards in the end. Beginning with maintenance items such as roofing, siding, paint (both interior and exterior), windows, and a couple secret weapons that are often overlooked, which offer a huge impact and are more reasonably priced than you may think, are new garage doors and outdoor fixtures. Remember you never get a second chance to make a first impression! Outdoor living areas have become all the rage by giving the homeowner an opportunity to add additional entertaining space to their home. The options here are endless depending on your budget and amount of space you have to work with, but this can be a great way to improve the function and finish of your home. Take a minute to ask yourself, where do I spend most of my time in my home? Kitchen, kitchen, kitchen! We all love to eat and hang out in the kitchen. As a result, improvements here are always a good place to start. Owner’s bedroom suites and bathrooms are also very popular areas for improvement. The range of options for these areas is vast based again on size and budget. Consider replacing hard surfaces, base and trim, fixtures, and doors. Think outside the box and ask an expert for help choosing something that might set your home apart. Why use the same six-panel door that everyone has? Change it up a bit. Starting with the solid bones using neutral tones and embellishing with accessories to add a splash of color and your own flair is always a winner! The more open, clean, and well maintained your home is, the greater your return on your investment will be. Buyers in today’s market have access to an abundance of information and have a good eye for short cuts. Work done just to “flip” a home will be called out very quickly! Always ask a professional for advice. You will find your favorite contractor or real estate professional will be more than happy to spend some time helping you make educated decisions that will meet your needs and show long term return. Orignially posted on RGN Construction’s blog. The post How to Create a More Beautiful and “Sale” Ready Home appeared first on Fort Collins Real Estate | Fort Collins Homes for Sale & Property Search. Fantastic Cul de Sac Home in Fort Collins! 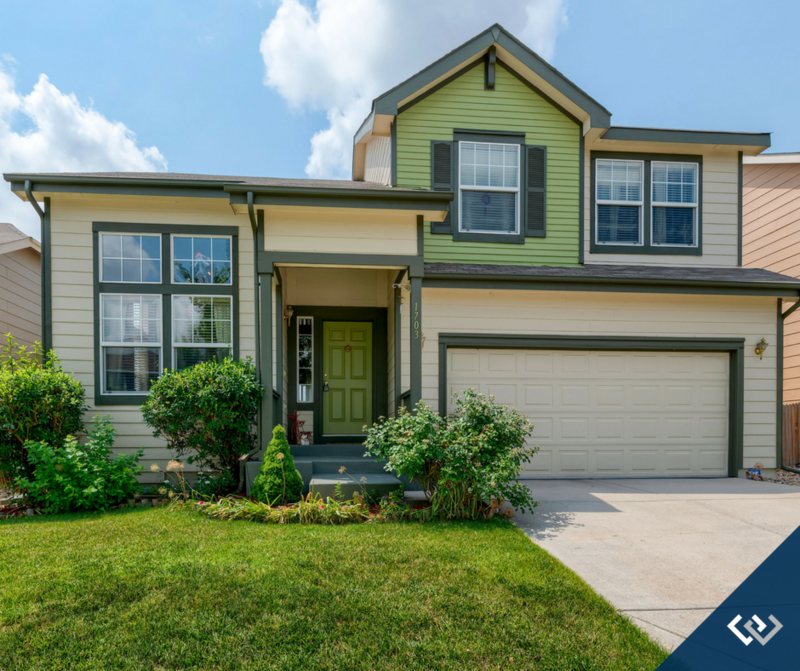 This fantastic home at 3927 Gardenwall Ct is at the end of a cul-de-sac in the popular Waterglen neighborhood features an open ﬂoor plan with vaulted ceilings and ﬁreplace. Your new home is move-in ready. All three bedrooms, including a great master suite are on the second ﬂoor. Enjoy the large fenced back yard adjacent to a sprawling green area, while relaxing on the large stamped concrete patio. Close to I-25 and Old Town. A beautiful home and excellent value! Contact Jon Holsten for your private showing at (970) 237-2752 for more information or click the link below for more details. The post Fantastic Cul de Sac Home in Fort Collins! appeared first on Fort Collins Real Estate | Fort Collins Homes for Sale & Property Search. http://thecertifiedlisting.com/wp-content/uploads/2017/02/Certified-Listing-Logo-2-300x212.png 0 0 Fort Collins http://thecertifiedlisting.com/wp-content/uploads/2017/02/Certified-Listing-Logo-2-300x212.png Fort Collins2018-11-30 18:39:062018-11-30 18:39:06Fantastic Cul de Sac Home in Fort Collins! This bright and open ﬂoor plan at 362 E 40th St just feels good from the moment you walk in. Well maintained, convenient location, and ready to move into! Big ticket items are all newer – roof, AC, furnace, and kitchen appliances. Features include vaulted ceilings, gas ﬁreplace, wood ﬂoors, spacious master w/large walk-in closet, fenced back yard w/raised garden beds and sprinkler system, and a nice pergola covering a large back patio. Basement is ready for future expansion. Contact Meagan Griesel for your private showing at 970-691-0056 for more information or click the link below for more details. The post Fantastic Move in Ready Home in Loveland! appeared first on Fort Collins Real Estate | Fort Collins Homes for Sale & Property Search. http://thecertifiedlisting.com/wp-content/uploads/2017/02/Certified-Listing-Logo-2-300x212.png 0 0 Fort Collins http://thecertifiedlisting.com/wp-content/uploads/2017/02/Certified-Listing-Logo-2-300x212.png Fort Collins2018-07-26 15:33:202018-07-26 15:33:20Fantastic Move in Ready Home in Loveland! 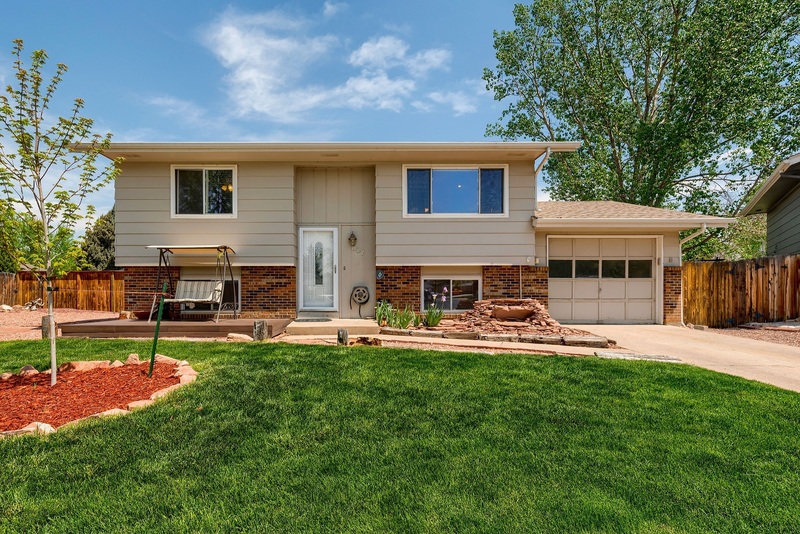 Updated Ranch Style Home in Loveland! This move in ready home at 2821 W Redbud Dr is a must see! Updated in all the right areas! The large family room opens to a bright dining room and kitchen. Laminate hardwood ﬂoors throughout living areas. Additional formal living area and large heated sun-room. Beautiful professionally landscaped fully fenced backyard features a covered patio, pond, large shade trees, sprinkler system, storage shed and large RV parking area. Contact Kelly Swift for your private showing at 970-310-4876 for more information or click the link below for more details. The post Updated Ranch Style Home in Loveland! appeared first on Fort Collins Real Estate | Fort Collins Homes for Sale & Property Search. http://thecertifiedlisting.com/wp-content/uploads/2017/02/Certified-Listing-Logo-2-300x212.png 0 0 Fort Collins http://thecertifiedlisting.com/wp-content/uploads/2017/02/Certified-Listing-Logo-2-300x212.png Fort Collins2018-07-25 18:15:452018-07-25 18:15:45Updated Ranch Style Home in Loveland! Beautiful Home in the Heart of Windsor! This beautifully updated home at 807 Table Mountain Ct located in central Windsor boasts new paint, new carpet, and new windows with updated flooring in the kitchen and bathroom. Move in ready, this home has a large and bright living space connecting to the kitchen with an eat in dining space. The lower level has a large master suite with walk-in closet, custom shelving and remodeled master bath. Enjoy the lower level room for additional living space, ofﬁce or workout room. Call Jacqueline Feil for your private showing at 970-402-7509 or click the link below for more details. The post Beautiful Home in the Heart of Windsor! appeared first on Fort Collins Real Estate | Fort Collins Homes for Sale & Property Search. http://thecertifiedlisting.com/wp-content/uploads/2017/02/Certified-Listing-Logo-2-300x212.png 0 0 Fort Collins http://thecertifiedlisting.com/wp-content/uploads/2017/02/Certified-Listing-Logo-2-300x212.png Fort Collins2018-05-14 17:31:082018-05-14 17:31:08Beautiful Home in the Heart of Windsor! Move In Ready Home in the Heart of Fort Collins! Welcome Home to 401 Flicker Dr located in Central Fort Collins. This 5 bedroom, 3 bathroom home is close to CSU, The CSU Vet Hospital, The Max Station and offers a large lot with easy access to Mid Town, trails and shopping. Newer roof, kitchen, updated windows and paint. This home is a great investment and is move in ready. Taking Back Up Offers. Call Chris Guillan for your private showing at 970-310-9357 or click the link below for more details. The post Move In Ready Home in the Heart of Fort Collins! appeared first on Fort Collins Real Estate | Fort Collins Homes for Sale & Property Search. http://thecertifiedlisting.com/wp-content/uploads/2017/02/Certified-Listing-Logo-2-300x212.png 0 0 Fort Collins http://thecertifiedlisting.com/wp-content/uploads/2017/02/Certified-Listing-Logo-2-300x212.png Fort Collins2018-04-09 15:00:072018-04-09 15:00:07Move In Ready Home in the Heart of Fort Collins!